“We are two neighboring peoples who have shown in Europe and the world that we can. 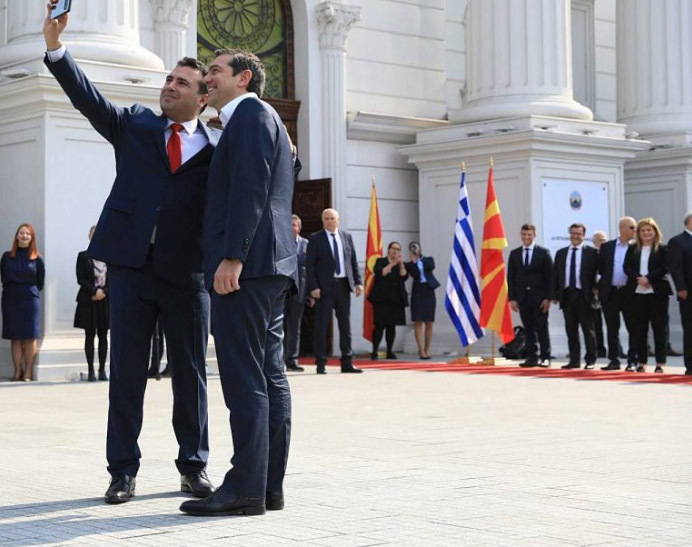 The agreement gives both countries the opportunity to make full use of their potential in the economy and in trade relations”, said the Prime Minister of North Macedonia during a joint press conference in progress, after the meeting with Greek PM Alexis Tsipras in Skopje. A Special Committee on Names and Trademarks will be established. We have signed Memoranda of Cooperation in the field of transport. Cooperation on agriculture, health, Mr Zaev added. On his part, Mr Tsipras said that today was important for both countries and the Balkans. “We are trying to serve a narrative of cooperation, mutual understanding. Success is not only for the two countries but also for the Balkans and Europe”, he said. Mr Tsipras outlined a number of bilateral agreements the two countries signed, which included energy, military, civil aviation safety, education, and new technologies. He added that a special committee was agreed to be set up on the issue of resolving matters of trademark disputes. The two agreed to set up official Embassies in each others’ countries. Big fire in the protected forest of Strofilia, Peloponnese!